Silvertone hardware gleams against the creamy, supple leather of a classic leather biker jacket that looks cool, sporty and a little edgy. 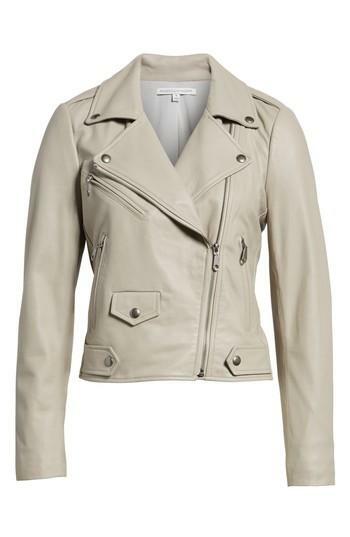 Style Name: Rebecca Minkoff Wes Leather Moto Jacket. Style Number: 5495572. Available in stores.